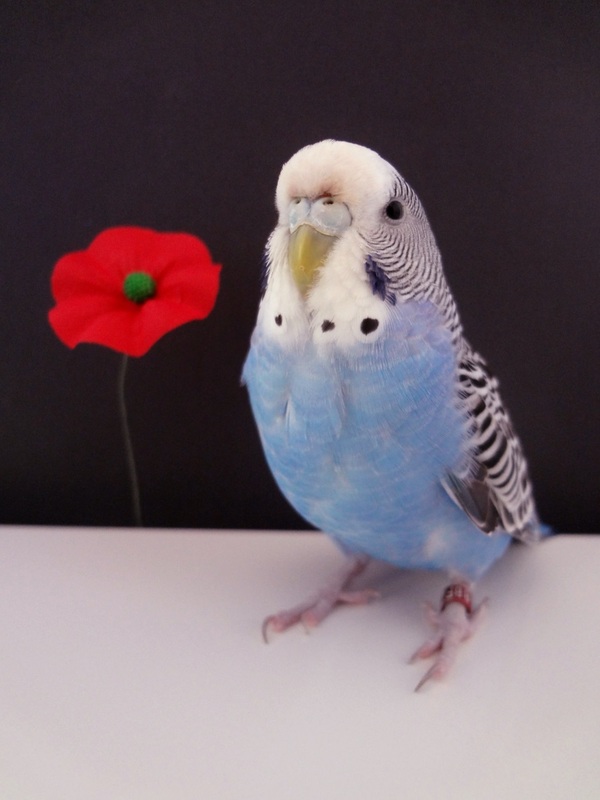 Posted on May 27, 2013 by Michelle M.
This entry was posted in Holiday Fun and tagged budgie, Cooper, Memorial Day, Memorial Day budgie, parakeet, poppy by Michelle M.. Bookmark the permalink. The poem “In Flanders Fields” has a line about ‘The larks, still bravely singing…’, I’m sure he intended to use ‘Budgies’ but couldn’t make it fit. In memory of those who gave all.